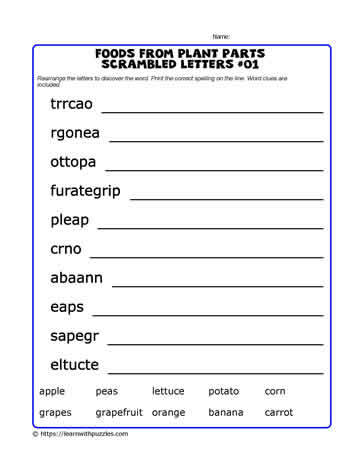 Here is a scrambled letters puzzle about foods from the plants we eat. Puzzles engage the brain, help with development problem solving strategies, and make learning fun. Great for kids learning about plants they eat, grades 2,3,4 classrooms, tutoring resources, homeschooling.